The sports world is all about soccer right now and everyone who is passionate about this international game is tuning in to see their favorite countries on earth battle for the coveted world cup! 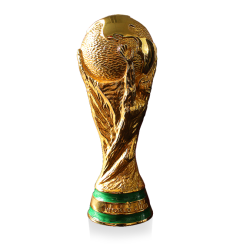 The 2018 FIFA World Cup is the 21st FIFA World Cup, an international tournament made up of the men&apos;s national teams of the member associations of FIFA once every four years. It is currently ongoing in Russia starting from 14 June and will end with the final match on 15 July 2018. This is the first World Cup to be held in Eastern Europe, and the eleventh time that it has been held in Europe. For the first time the tournament takes place on two continents – Europe and Asia. All but two of the stadium venues are in European Russia. It is top-grade international competition at its best and fans of playing soccer at any age can watch and marvel at these international superstars. Speaking of local soccer fans - Are you aware of all the high-quality soccer there is to see in the Greater Lansing area? Have you ever been to a Lansing United Soccer match? You&apos;re really missing out, especially now that Greater Lansing boasts a highly competitive women&apos;s team as well! Lansing United is officially based in East Lansing and had its inaugural match in the NPSL in May of 2014. They finished the regular season by winning the Great Lakes West championship. United went on the win the NPSL’s Midwest Region Playoffs before ultimately losing in the semi-finals to eventual champion, New York Red Bulls U-23s. The following year, the club secured its first U.S. Open Cup victory over Chicago&apos;s RWB Adria, before falling 1–0 to Louisville City FC of the USL. Beginning in May 2018, Lansing United began to field both men&apos;s and women&apos;s squads. Lansing United men will compete in the United Soccer Leagues&apos; Premier Development League after four years in the NPSL.They will play in the Great Lakes Division of the Central Conference. Lansing United Women will compete in the Midwest Division of United Women&apos;s Soccer. The teams play home matches at Archer Stadium located in the East Lansing Soccer Complex. Are people loving seeing these teams play? You bet they are. On July 9, 2017, a facility record, 1,388 people watched the team take on Detroit City FC. United will occasionally play at DeMartin Stadium on the Michigan State University campus, to facilitate larger crowds. A club record, 2,014 people watched United secure the Great Lakes West championship over Detroit City FC on July 13, 2014. So, soccer is hot right now on the global scale and in the Greater Lansing area as well. But what if you aren’t in the mood to watch soccer, but want to play soccer? Or better yet, what if you want to bring a soccer tournament to Greater Lansing? Smart decision! Greater Lansing has about 20 different athletic venues that can support a soccer tournament, both indoors and out. Click here to check them all out. The weather is hot, but soccer is even hotter. Enjoy the World Cup or get out and check out Men&apos;s and Women&apos;s Lansing United. If you want to play some soccer, you&apos;re in the right place in Greater Lansing because this community loves soccer. Play on soccer lovers - just watch the flopping!